05 Jun 2018 --- A bulletin published by ABC-AHP-NCNPR Botanical Adulterants Prevention Program (BAPP) flags the potential adulteration of turmeric on the market. The bulletin, Botanical Adulterants Bulletin on turmeric (Curcuma longa) rhizome, lists the known adulterants, details analytical approaches to detect adulterants and provides information on the market importance of turmeric. It also discusses safety aspects of the known adulterants. BAPP claims that eighteen laboratory analytical experts from academia, government and the herb industry provided input on the bulletin during the peer-review process. “The increased popularity of herbs like turmeric attracts producers and suppliers who are often more concerned about making a profit than they are about selling a high-quality botanical ingredient,” says Mark Blumenthal, Founder and Executive Director of ABC and Director of BAPP. The new bulletin – written by Ezra Bejar, Ph.D., an expert in botanical research – notes that few herbal dietary supplement ingredients have seen such a steep sales increase over the past five years as turmeric. Turmeric has been the top-selling dietary supplement in US natural food stores since 2013, and it ranked fifth in sales in mainstream retail outlets in 2017. Furthermore, it reports that in the 2015 to 2016 period, a total volume of 88,500 metric tons of turmeric was exported from India, versus 86,000 tons in the preceding period of 2014 to 2015. “The use of colorants to make the turmeric root visually more attractive is of particular concern. Many of the yellow or orange colorants, such as lead chromate or metanil yellow, may represent a health risk. 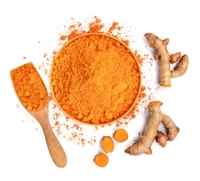 Since daily dosages of several grams of turmeric powder are recommended for health benefits, use of adulterated turmeric products may lead to an intake of excessive amounts of these colorants,” adds Stefan Gafner, PhD, chief science officer of ABC and technical director of BAPP. Essentially, the fact that this spice is frequently sold in powdered form (which renders identification to species by macroscopic visual inspection impossible) makes it more susceptible to mixing with extraneous, lower-cost botanical ingredients, starches, chalk powder, cassava, and synthetic dyes. The goal of the Botanical Adulterant Bulletins is to provide accounts of ongoing issues related to botanical identity and adulteration, thus allowing quality control personnel and lab technicians in the herbal medicine, botanical ingredient, dietary supplement, cosmetic, herbal tea, conventional food and other industries where botanical ingredients are used to be informed on adulteration problems that are apparently relatively widespread and/or imply safety concerns. NutritionInsight has previously reported on the stand-out popularity of turmeric at Vitafoods Europe 2018, where the rise of products featuring turmeric and its derivative, curcumin, was noted. In a bid to address ingredient adulteration and transparency issues on the botanical market that can erode consumer trust, supplier of clinically researched botanical ingredients Gencor initiated a range of new partnerships. Its goal is to provide ease of mind to brand manufacturers and access to thoroughly vetted partners backed by in-depth quality assurance documentation. However, the process against adulteration on the market is on-going. NutritionInsight also conducted a key interview with Umasudhan, CEO of Valensa, who spoke in detail about the “uneven playing field” created on the market from false claims on saw palmetto products.